Since the book launch, I’ve noticed that all nine of the hot sauces featured in Red Hot Kitchen have their own fans, but one chili sauce in particular has drawn a group of new, very excited converts: XO sauce. There were many people who hadn’t really heard of XO sauce before. After all, it’s not THE gateway Asian hot sauce that everyone knows and loves (Sriracha), nor one of the increasingly popular condiments that’s getting more and more attention in the U.S. (gochujang, sambal oelek, Sichuan chili oil). Often, even if someone had heard of XO sauce before, or tried it in a Chinese restaurant, they didn’t really know what ingredients are in it. Now, I’m probably not supposed to choose a favorite of the nine hot sauces (it’s like choosing a favorite from your nine children, right?!?) but I will go on the record right now and say that XO sauce would be my desert island hot sauce. Why? Many people think of advancing their hot sauce knowledge through training their lungs and esophagi to adapt to increasingly spicier sauces. I prefer to skip the capsaicin one-upmanship. Instead, the more spicy food I eat, the more I find myself craving more complex and deeper flavors to go with the heat. There are many instances when Sriracha, sambal oelek, or sweet chili sauce would be the perfect addition to a dish. But when you want a hot sauce that has insanely rich umami flavors while also packing heat, XO sauce is the one to reach for. So what exactly is XO sauce? Well, it’s the youngest hot sauce of the nine featured in Red Hot Kitchen, developed in Hong Kong in the late 80s and 90s by restaurant chefs. “XO” is Hong Kong slang for extra-old brandy and gives off the idea of something luxurious. Pretty much every restaurant or XO sauce maker in Hong Kong has their own recipe, but most of them include dried scallops, dried shrimp, and Jinhua ham. Dried scallops are prized in Cantonese cooking and are used in many soups and braises, especially at banquet dinners. Jinhua ham is also a delicacy, with a flavor similar to jamon serrano or prosciutto (you can’t find it in the US, so I use smoked bacon as a substitute). Dried shrimp isn’t as pricy as the previous two, but it’s still prized for the briny flavor. Small (6 to 8 ounce) jars of XO sauce in Hong Kong can run you between $25 and $70 USD. Of course, cooking at home is always better quality- and cost-wise, and you can make an quart-size jar of XO sauce at home at a fraction of the price. (I use small scallops or shredded scallops, which are very affordable, instead of the crazy pricey large whole ones that people mainly give for wedding gifts.) Even though it takes a bit longer to put together (about an hour), the absolute best part about making XO sauce is that once you have it, you will need very few other ingredients to enjoy a fabulous meal. It’s so flavor-packed that you really need just a few fresh ingredients to mix with the XO sauce. What you can do with XO sauce is limited only by your imagination, and I know Appetite for China readers don’t have limited imaginations! You can get the full recipes from Red Hot Kitchen for XO sauce via Salon (XO sauce recipe is after the Rice Cakes recipe), and for Vegan XO Sauce via Edible Brooklyn. Now that I’ve hopefully piqued your curiosity, what are some dishes you would love to try XO sauce with? 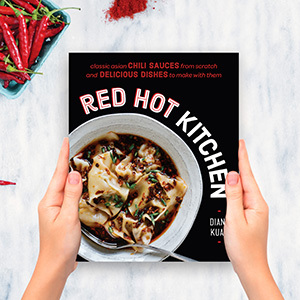 Red Hot Kitchen Book Events! Win a free cooking class! And 1 month until book launch! There's less than one month to go until the release of Red Hot Kitchen, featuring *hot* dishes to make with 9 versatile Asian chili sauces! And I've teamed up with my publisher Avery and the Brooklyn Brainery for another giveaway! This time, we're offering a chance to win 1 spot in a Brooklyn Brainery cooking class (no expiration), or a free private Skype class if you live outside New York. For the Brooklyn Brainery class, you can choose from any of the ones I teach, including Dumplings & Wontons, Intro to Sichuan, Vegan Chinese, and many more. (We'll be posting more classes for February through April soon.) For the private Skype class, groceries aren't included, but you can design your own class with 3 dishes that we can do in under 2 hours. 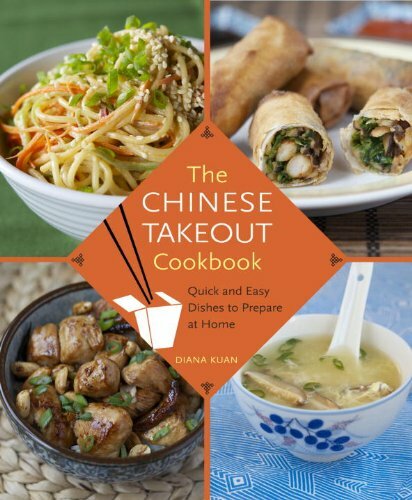 This is a great way to have your favorite dishes and flavors demystified! One winner will be chosen at random and notified via e-mail by February 1st, 2019. This is open to residents of the 50 United States and the District of Columbia, aged 18 and up.